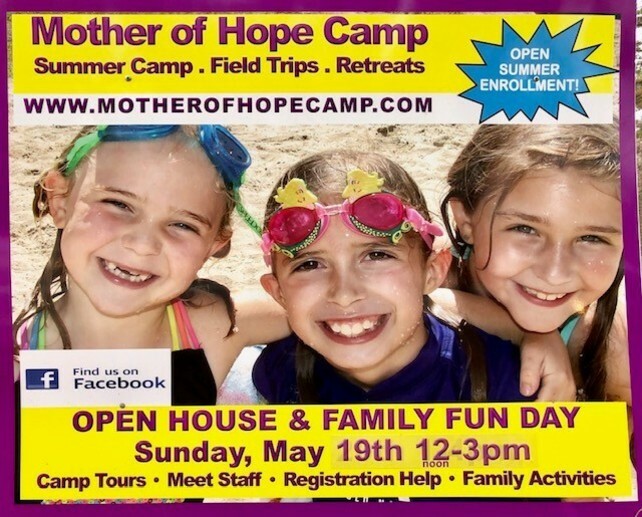 Come tour the beautiful grounds at Mother of Hope Camp in Chepachet, RI to learn about all that is offered in our Summer Day Camp program for children 5-12 years-of-age. Our friendly & professional staff will be available to answer questions, engage visitors in some typical camp activities, explain the variety of MOH Camp programs & activities, and assist families with registration. Come meet a MOH Camp therapy dog or take part in a nature scavenger hunt! Minors MUST remain under the supervision of the adults with whom they arrive. Please let us know if your family plan to attend MOH Camp&apos;s Open House & Family Fun Day on Sunday, May 19th! REQUIRED Yes, my family plans to attend! Please fill out this field.